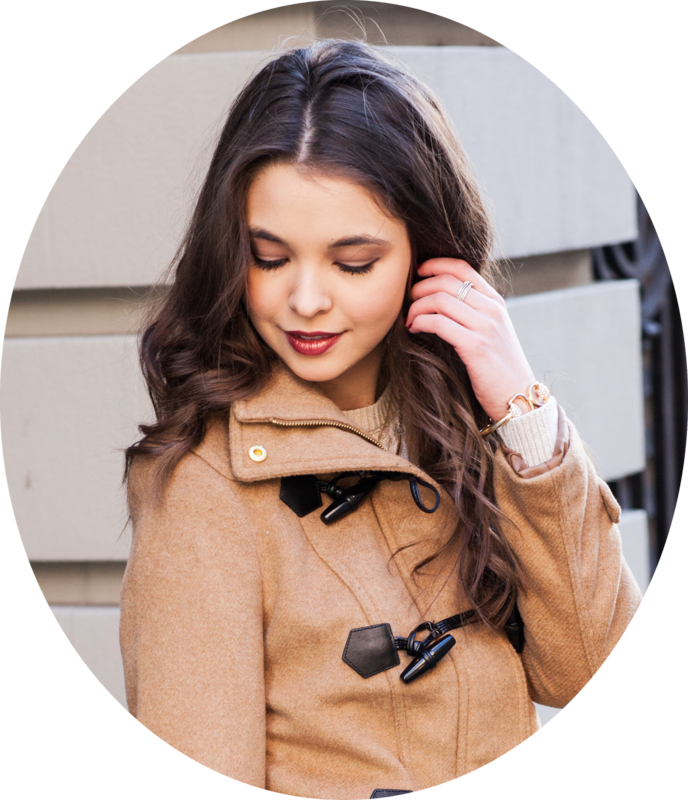 Kate Spade Cardigan (love these here, here, and here) . Basic Grey Tank . H&M Skirt . Jcrew Tights (Similar) . Tory Burch Bristol Booties (similar) . Belt . If this cardigan doesn't scream Glossy&Glitzy...then I don't know what does! I love the sweet sparkle embellishments on this Kate Spade cardigan. Everything and anything Kate Spade could easily make it's way into my closet...my wallet is the issue :/ I found this cardigan on super sale and I'm so happy I came across it. It believe it actually comes from a wedding collection...oh well wedding or not this works for me any anytime. Since this is an older style, I found a few other similar beaded/embellished cardigans (caption above) with different price points to satisfy a holiday cardi craving. 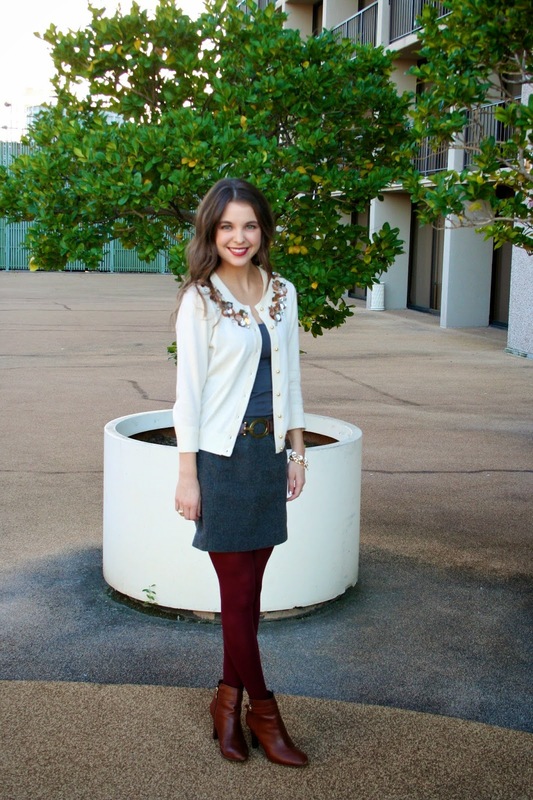 Ok and I seriously am having the hardest time finding a similar grey skirt to link above. I got this last Fall at H&M and it's sort of a wool type blend. I wore the above look this past Thanksgiving Day, and I may or may not have had to remove the belt (oops). Needless to say, I ate WAY too much that day along with my 6 days of Texas vacation. To the gym I GO! 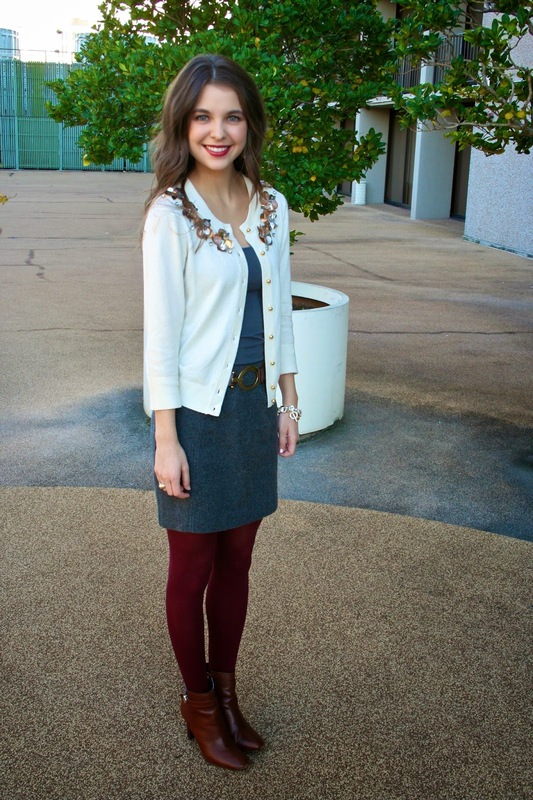 Lately I've been sticking to a lot of basics, but this cardigan is the perfect pop to my Thanksgiving style. The shimmery flowers and beadwork give it a nice holiday glitz. 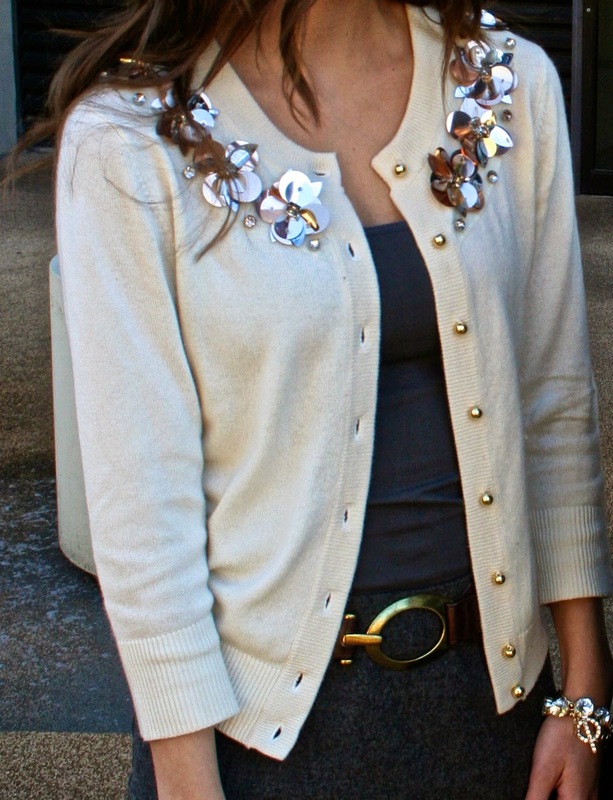 I think that a fun cardigan or beaded jacket is the perfect addition to any holiday look. Ladies it's time put your statement necklaces away and bring the cardi out!